What if you treated everyone as if they were me? 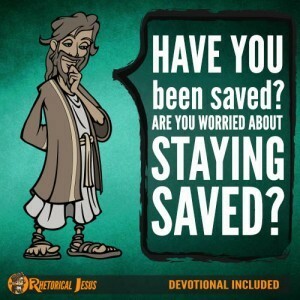 And when Jesus came to the place, he looked up and said to him, “Zacchaeus, hurry and come down, for I must stay at your house today.” So he hurried and came down and received him joyfully. The Bible says that we should be careful how we treat strangers because we might be entertaining angels without even knowing it (Hebrews 13:2). Jesus said that if we make strangers feel welcome (Matthew 25:38), it’s the same as doing it to Him (Matthew 25:40). 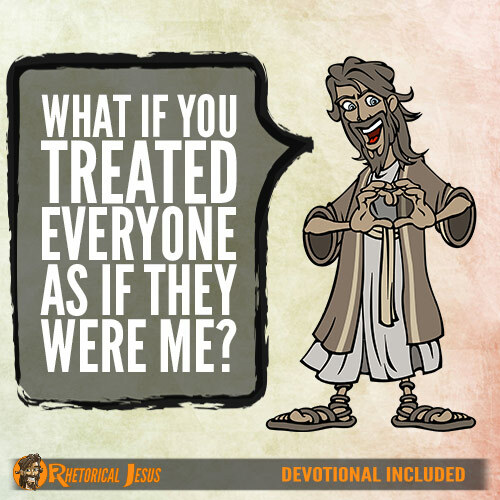 Would you treat someone differently if you were treating them like Jesus? Surely the answer to this would be yes! We are all made in the image of God (Genesis 1:26-27). In fact, God repeats the phrase “in the image” three times in Genesis 1, so we should treat everyone with the same respect that they too were made in the image of God. It shouldn’t matter if they’re a believer or not. When the tax collector Zacchaeus received Jesus into his home, he “received him joyfully.” I like that phrase. The Greek word used for “joyfully” is “chairō,” which means “to rejoice exceedingly” and “to be glad.” That should be how we welcome others into our homes or treat others. If we never welcome anyone or invite guests into our home, are we not being very welcoming to Jesus either? Zacchaeus was so overjoyed at having Jesus in his home that he said he’d give half of his goods to the poor and restore to anyone he’d defrauded four times the amount (Luke 19:8), which was twice the amount the Old Testament law required. At this, Jesus proclaimed that “salvation has come to this house” (Luke 19:9), giving Zacchaeus even more joy. Peter commanded the church to offer hospitality to one another but to do it without grumbling (1 Peter 4:9). Paul tells us to practice hospitality and to share with the Lord’s people, particularly those who are in need (Romans 12:13). If we share our food with the poor and provide the wanderer with shelter (Isaiah 58:7), we are doing it for Jesus, too (Matthew 25:40). 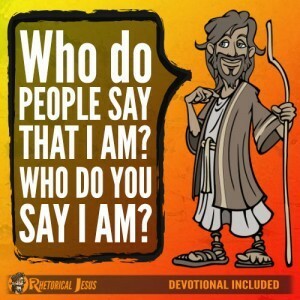 Think about this: What if we treated everyone as if they were Jesus? If they are a child of God, then they are someone who Jesus purchased with His own blood (Acts 20:28). Righteous God in heaven, You have been so generous to me. How can I not treat others in the same way that I would treat Your Great Son, Jesus Christ? Forgive me for not showing more hospitality to others, even if I don’t know them well or know them at all, and in Jesus’ precious name I pray.